Sleeping seven in a four-room tunnel tent with three Ambassador Master Bedrooms, the three zones of the Vermont 6P offer flexibility with ample room to relax. Pre-shaped poles deliver stability, full headroom and steep walls to maximise internal space. 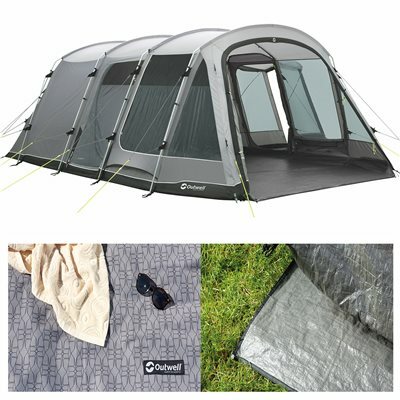 With doors on both sides, ventilation and a detachable tub-style groundsheet, it offers practical tent living.